Sometimes you take a chance on technology even when you can't predict hard returns, hoping that an educated experiment will create business opportunities. Zappos sees video this way. The shoe and clothing company displays interactive videos about its Nike products. Shoppers can click on items in the clips to see more information, including any current promotions and whether the product is in stock. Customers can also post links to Zappos videos on their Facebook pages, upload their own recordings to Zappos.com and leave comments on the clips. The company plans to create 50,000 videos--covering 1 percent of its products--by the end of the year, says Brian Kalma, director of user experience and Web strategy. 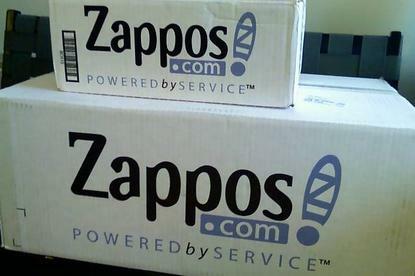 Zappos doesn't yet know how much money it will make from the social networking initiative. "The goal is to create a more pleasurable experience on our site," Kalma says. "The general philosophy is that will lead to purchases." To read more on this topic, see: Supply Chain Robots Rule the Zappos.com Warehouse and Facebook, Mobile Phones and the Future of Shopping. The impetus for the project came in part from customers who asked questions best answered visually, Kalma says. How does this running shoe bend? How easily does that Velcro tab open? "We can show that better than tell it," he adds. Zappos also wants to show products in "aspirational" situations: In theory, a customer who watches a model skiing may be more likely to buy the pants she is wearing. Starting with Nike, one of its biggest brands, Zappos deployed software from Overlay.tv to link videos about various items to its supply-chain system. Shoppers can watch a video to see someone using a sneaker, then get information about inventory levels and sales promotions. Overlay's software communicates with Zappos' product databases via an XML feed that supplies data such as product SKUs. Customers can host their own videos or have Overlay do it for a fee based on how much traffic they get. Overlay hosts Zappos' videos, but the retailer shoots the clips itself in studios within its warehouses. The company screens customer-generated videos for inappropriate content but doesn't censor any for criticizing products, Kalma says. Justin Foster, president of the Video Commerce Consortium, a group of technologists and marketers focused on video e-commerce, says retailers that offer video don't usually promote it well, and they miss out on sales as a result. In October, the consortium's platform provider Liveclicker reviewed 13 million product pages at the 25 e-commerce sites with the most sales and found that consumers respond to prominent video pitches. A big "play" button near an embedded video player on the first screen of a product page will spur 25 percent to 45 percent of shoppers to watch a product video. But smaller merchandising cues such as a link to a video on another page will tempt at most 2 percent. Kalma is looking for concrete measures of video's value. Zappos will track which videos people watch and how often they click on the showcased products. As more videos become available, the company will also collect stats on what viewers purchase. "I'd be kidding myself to say there are more folks looking at video right now than product pictures," he says. "But feedback from customers led us this way."